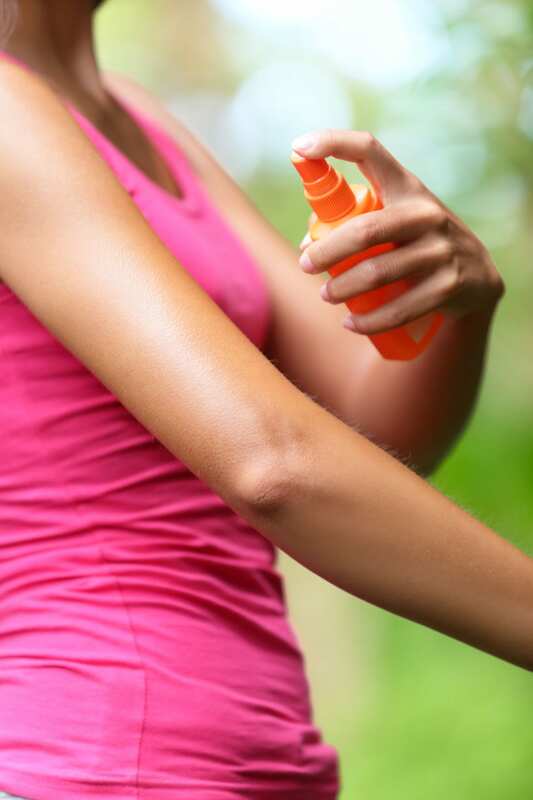 44400104 - woman spraying insect repellents on skin outdoor in nature using spray bottle in forest. We’re smarter than ever about using sunscreen to protect our precious skin. Yet, even as sunscreen use increases, so do skin cancer rates. In fact, skin cancer rates have tripled in the last 35 years, says the National Cancer Institute. As if skin cancer isn’t scary enough, who wants the other effect of too much sun exposure: early skin aging. The only way to reduce skin damage and cancer risks from too much sun exposure is to manage the factors that you can—largely avoiding UV rays and sunburns. Time limits: If the product claims water resistance for either 40 or 80 minutes, it’s a water-resistant product. Without this claim and either of these times, the product is not proven water resistant. No exaggerated claims: There is no sunscreen that is “waterproof,” “sweat proof” or is a “sunblock,” the FDA says. Use SPF 15+ sunscreen and lots of it. Reapply sunscreen every 2 hours or more if you’re sweating or jumping in and out of the water. Stay out of the sun between 10am and 2pm when the rays are most intense. Cover up with shirts, pants, sunglasses and hats.